Call RighTime today for expert HVAC, electrical, and plumbing repair and installation. We are available 24 hours a day, 7 days a week to keep you comfortable. "Call today and help is on the way!" 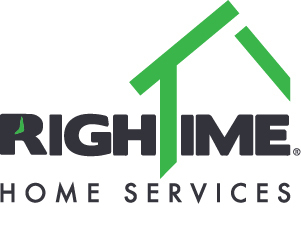 RighTime® Home Services is a leading provider of residential Air Conditioning, Heating, Plumbing and Electrical services in Southern California. If you need a repair, we are available 24/7 to take your call and send one of our expert technicians to your home at a time that is convenient for you. If it is a repair or replacement of your HVAC system, Plumbing or Electrical system you are looking for, you can rest assured that not only will we be there when we say we will, but we will get the repair done correctly, efficiently, and at the price quoted. At RighTime Home Services, we also recommend regular maintenance on your HVAC, Plumbing an Electrical systems to help keep your home running efficiently and avoid potential issues that can occur without preventative care. We have maintenance plans to fit your needs that include two visits to check and tune-up your HVAC system and one Plumbing inspection and one Electrical inspection per year, preferred pricing, priority scheduling and a one-year parts and service warranty. In addition, we hire only the best technicians and ones that you can trust. All of our employees are required to undergo background checks and drug screening prior to joining our team, so you can enjoy peace of mind when they come to your home. And, we guarantee all of our work and will make sure you are satisfied. Or we will work until you are. A heatwave is no time to be without a working AC unit. Our heating and cooling experts can fix your air conditioning and cool you down in no time. When it comes to choosing the right air conditioning system, you have to consider your climate, budget, the layout of your home, and more. Our HVAC experts know how to determine the best option and install it right. From routine maintenance to emergency furnace repairs, our specialty is keeping you warm. We'll make sure repairs get done right the first time. Air ducts are a big part of a working heating and cooling system. Make sure yours are doing a good job by performing regular maintenance like duct cleaning. Keep water flowing efficiently though your toilets, showers, sinks, and drains with plumbing services you can rely on. Our specialties range from installation to repairs and preventative maintenance. Replace that old, outdated water heater with a new, energy-efficient unit that will help you save on costly repairs in the long term. You don't have to settle for cold showers. Whether you have a traditional tank or tankless model, our experts are always available to provide the best in water heater repair. RighTime Home Services provides residential electrical repair services in Riverside, CA. If you have an electricity emergency or just need maintenance, our expert electricians are available 24/7.